Nakazakicho is a hidden gem in Osaka. Cute, hippie cafes and organic cafes tucked into some of the rare Osakan architecture that survived the firebombing of WW2. 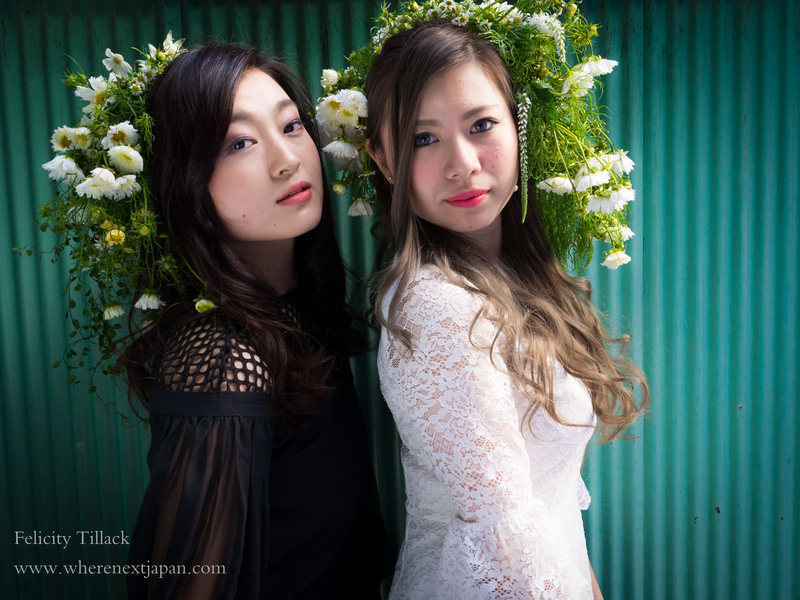 A Fukuokan photographer turned visual artist, Yougetu Imai, decorates models with his own style of ikebana, and in late summer he organised a photoshoot for interested Osaka based photographers. The girls are all semi-pros, and did a great job. Such an awesome experience, and made even sweeter with the discovery of such an interesting neighbourhood in Osaka!